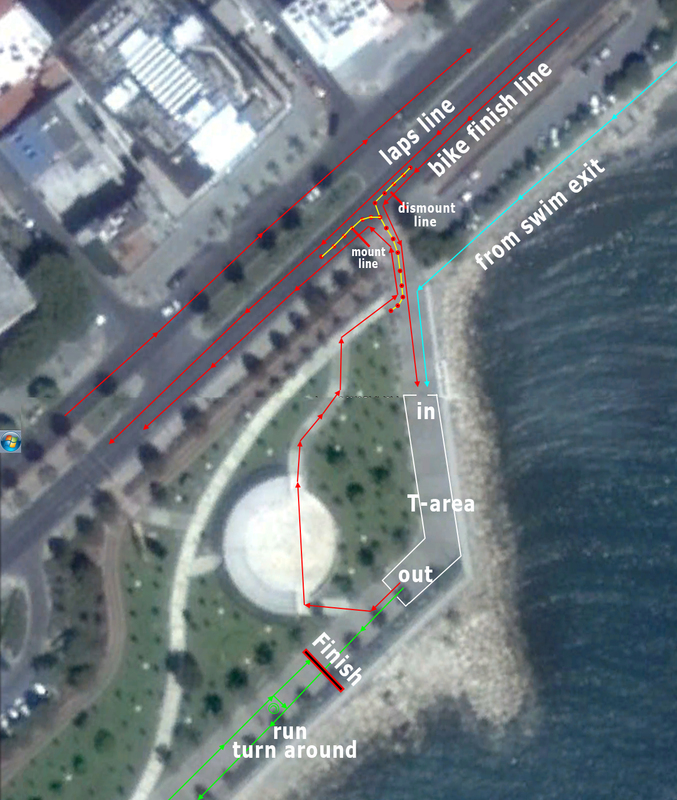 Only a few days remain until Limassol Triathlon. We kindly ask you to check if the information in the Final Start List is correct. In case you think that something is wrong please notify us before Friday the 2nd of November 2018. There will be no changes in the morning of the race. Below you will find frequently asked questions and important information regarding the event. Please read them carefully. We ask for your support and cooperation in following the Rules to have a successful, safe and fair event that every competitor will enjoy. · When and where can I pick-up my race bag? Sunday 4th of November, 7:00-8:00 at the Transition area, during registration. We recommend that you arrive early enough on the race day to register. · When is the briefing? On the race day there will be a short briefing before the start. Make sure to familiarize yourself with the race course and the flow of the transition area. · What is the race schedule? · Will roads be closed to traffic? The roads will be closed to traffic from 7:30. At all times the participants must anticipate that cars can be in the course due to violation of the road closures or due to emergencies. We draw your attention to the turnaround points and the mount/ dismount area where you must be especially careful. Slow down as needed to be safe to yourself and the other competitors. · Where do I put the chip? The chip should be exposed (image). If you are using a wetsuit please leave the timing chip exposed. Make sure to hand it over to the official at the finish line after you finish the race. An additional timing chip is behind your race number. Please do not remove. Fix the bib number on a race belt. Turn on the back for the bike section. Turn in front for the run section. No race belt is provided by the organisers. You must bring your own. There will be a limited number of Race Belts on sale on the race morning. · Do I need a wetsuit? Wetsuits will be allowed as optional. · What is the start method? The athletes will start in two waves with a run from the beach. · Is the helmet optional? The helmet is mandatory. Anyone without a helmet will be disqualified. Drafting is not allowed. The non-drafting rule will be enforced by referees. Be sure that you are familiar with the Competition Rules and especially with the Drafting Rule. It is very important during the bike course to stay always at the very left side of the lane allowing faster competitors to over pass from your right. Overtaking from the left leads immediately to disqualification. · Can I listen to music? No. Earphones are prohibited by the Competition Rules during the whole race duration. · Do I need to count laps? Yes. It is the competitors’ responsibility to count the laps. For the purpose of timing laps are counted electronically both in the cycle and run. · What time is the Awards Ceremony? The Award Ceremony will start at 11:00. · When can I pick-up my bike? Bike can be picked after the award’s ceremony is finished. · What if I need more information? Good luck and enjoy the race! !